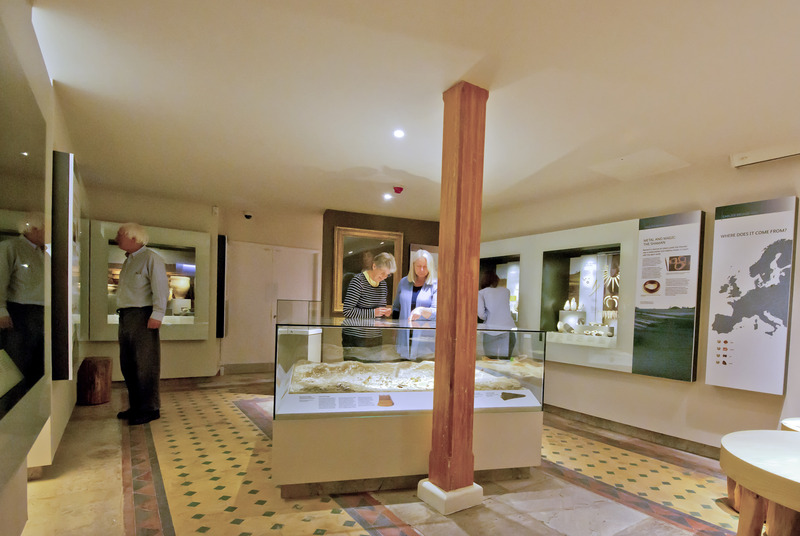 Half a million years of Wiltshire's story told in a £500,000 gallery featuring high quality graphics and accurate reconstructions based on the latest research. On display are dozens of spectacular treasures dating to the time of Stonehenge, including the famous Bush Barrow lozenge. These treasures wre worn by the chieftains and shamans who held their ceremonies at Stonehenge. There is lots for children too! 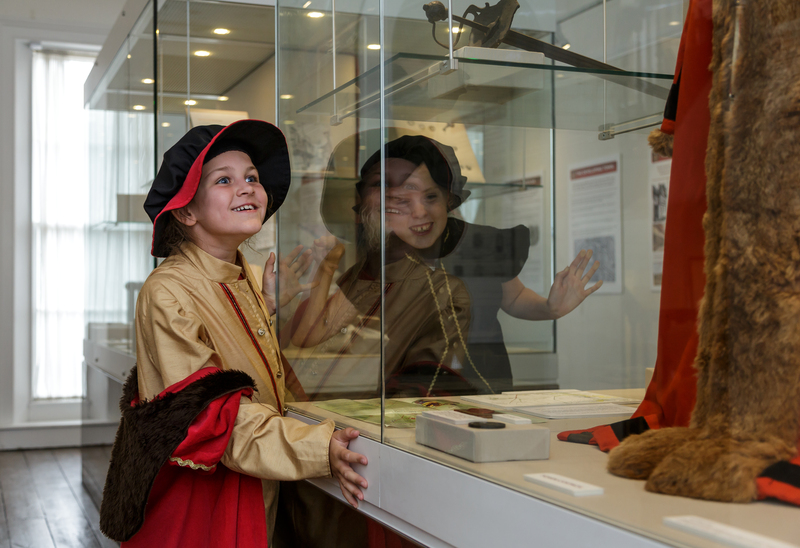 Follow Archie and Ollie on a gallery trail, build Stonehenge, examine evidence under a micriscope and try on Bronze Age costumes. See the exquisite jewellery and battle-scarred weapons that tell of alliances and conflict between the kingdoms of Wessex and Mercia. 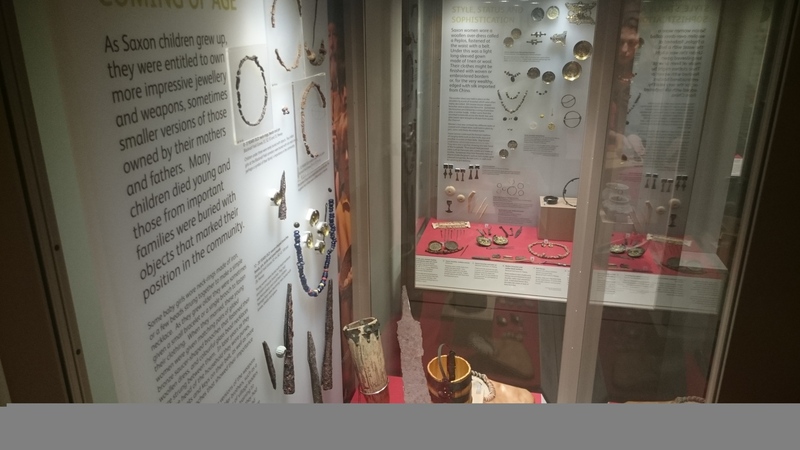 Thsi beautifully designed gallery features the gold and garnet jewellery that belonged to a Saxon Abbess who lived at the time when Christianity was brought to Wiltshire and one of the first English shillings made of gold. Find out about the story of King Alfred and his fight-back against Viking Invaders at the decisive Battle of Edington. Discover a time before the town, how Devizes got its unusual name, its Norman roots and medieval street plan. Learn the story of the Moonraker legend and the town's Georgian prosperity. See finds from our Norman castle, discover more about the town's involvement in the 12th century battle for the throne between Stephen and Matilda and the Royalist victory at the Battle of ROundway during the Civil War. Share memories of Devizes landmarks, shops and the town today.